Directly send us a message also include log files in case of program issues. You can also deactivate your license here if you want to use it on another computer. If you have any questions regarding the program or even a new idea, please do not hesitate to contact us! 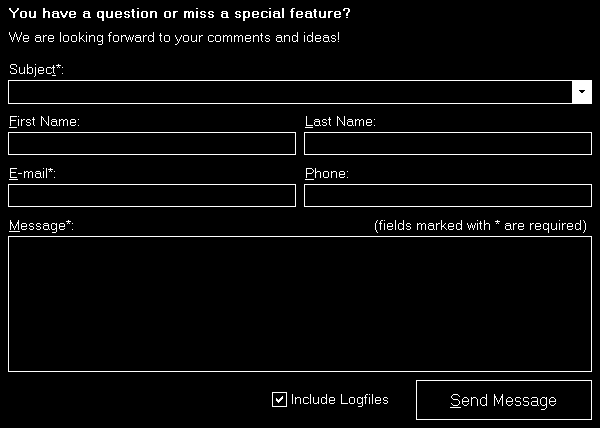 You can directly use this contact form integrated into FS-FlightControl itself. In case you should have found an issue you want to report please make sure to keep the checkbox Include Logfiles checked. This way we receive your log data together with your message and can better analyze a possible problem. Below the contact form some information about your license is displayed. You can use the button Deactivate License on this Computer to move your license to another computer. In this case please deactivate your license on the old computer first before activating it on the new one again. Note: We also recommend to deactivate the license in advance if you plan to completely reinstall Windows on the same computer. At the bottom some copyright notes are displayed. In the bottom right you will additionally find the link Show Change Log that shows the program change log. 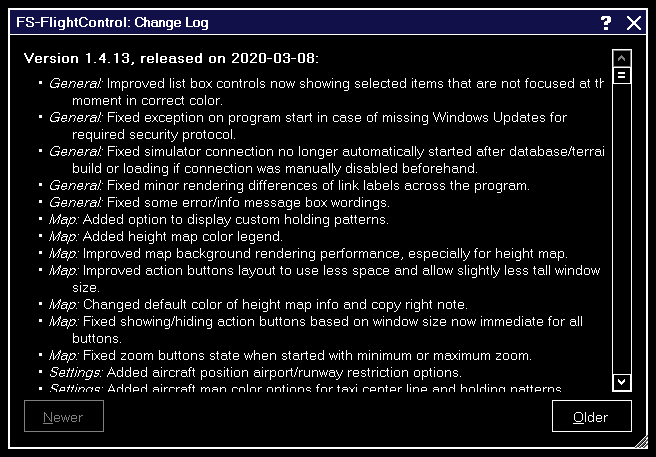 Here the change log of FS-FlightControl is displayed. This way you can have a look on the change log at any time also after you have applied an update. 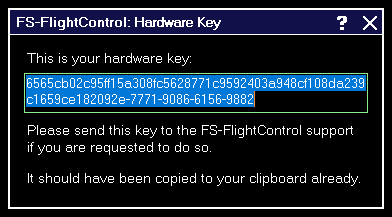 Please send this key to the FS-FlightControl support if you are requested to do so.